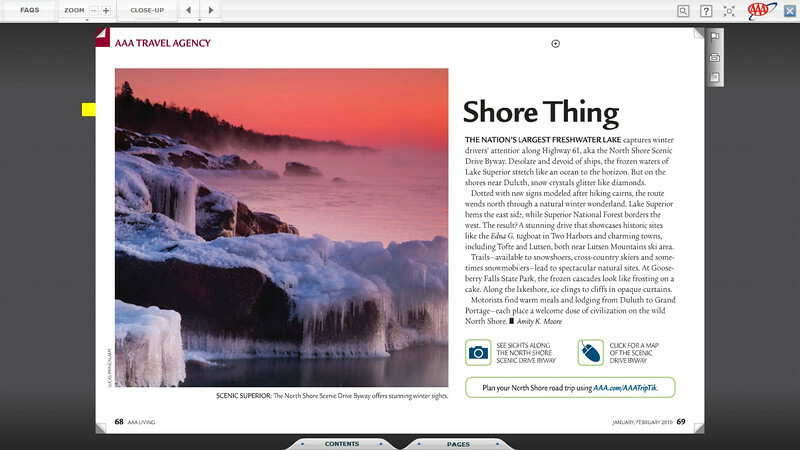 Gallery of published images. CLICK ON EACH IMAGE TO VIEW A LARGER VERSION. 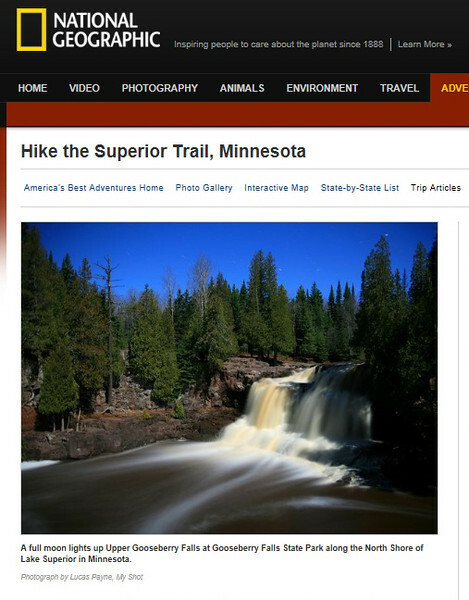 National Geographic online article "Hike the Superior Trail, Minnesota"
Click here to view photo and article. Click here to see this image in its original gallery and purchase a print. 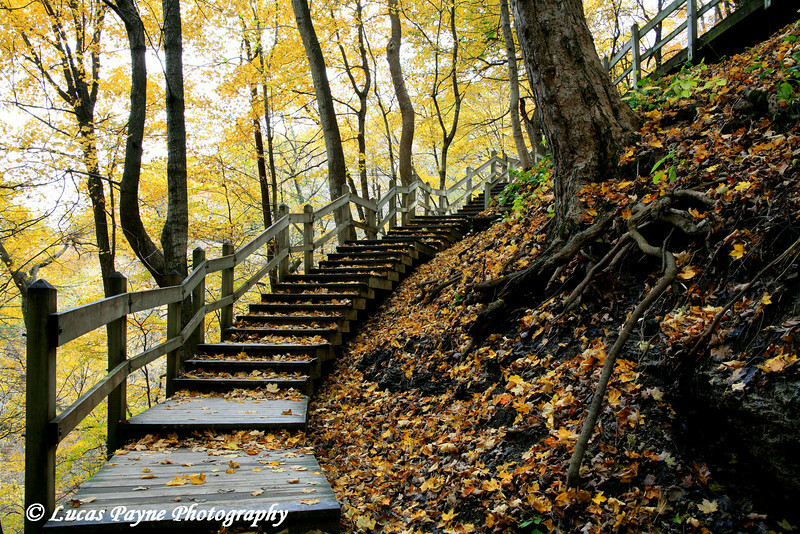 Published in the January/February 2010 issue of the online magazine "AAA Living"
Steps leading down to Bridal Veil Falls at Pikes Peak State Park in Northeast Iowa was published in the Oct/Nov 2008 issue of "Our Iowa" magazine. 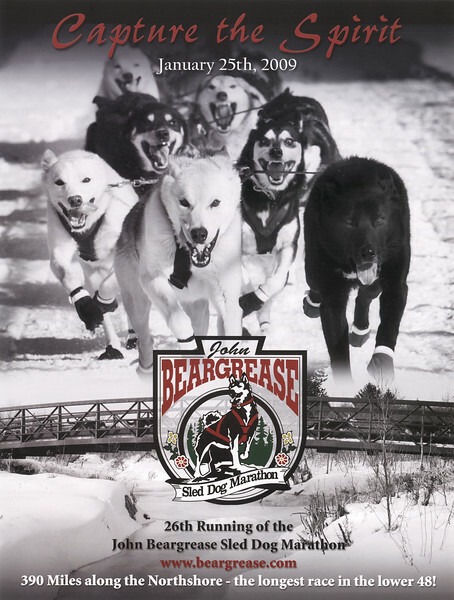 The 2009 John Beargrease Sled Dog Marathon Poster "Capture the Spirit" is a composite of two of the winning images from the 2nd Annual John Beargrease Photography Contest. The top image of the dogs is my image and the lower image with the bridge is a photograph by Shane Anderson.